Rock Bottom Lasers - We sell used cosmetic lasers, IPLs, and RF devices. Cosmetic laser repair and rental. Laser repairs, servicing, consignment. Vin Wells. In addition to our 7 point Certified Partner Guarantee, Rock Bottom Lasers provides Medical Spa MD Members a FREE extended 120 day warranty. 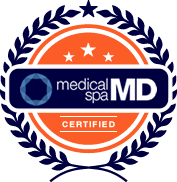 You must be a current Medical Spa MD Member on our mailing list. You must identify yourself as a Member the the time of purchase. Vin Wells is the President and Founder of Rock Bottom Lasers & and Cosmetic Laser Deals and has extensive experience in the aesthetic laser industry. Mr. Wells started his own chain of aesthetic clinics under the brand name Skinovative and opened his first medical spa in Boise, Idaho in February 2001. From 2001 to 2004, the Boise location realized over a 20% annual rate of growth, exceeding over $1,000,000 in gross revenue by years end 2004. Subsequently in 2004 and 2005, Mr. Wells opened two additional locations in Arizona (Chandler & Tucson) with annualized store revenues for all three locations exceeding $3 million by end of year 2005. Since that time, Mr. Wells has devoted his energies to helping other physicians and entrepreneurs become successful in this industry. Additional Skinovative locations have been opened under Mr. Wells’ direction and generate annual gross revenues ranging anywhere from $800,000 to $1,300,000 per Skinovative clinic. Mr. Wells received a masters degree in Health Services Administration from Arizona State University (1995) and has extensive practice management experience, working with a number of different hospital and outpatient care systems. Mr. Wells received his bachelors of Science degree at Brigham Young University in 1991 and continued his education at Arizona State University, in Tempe, Arizona, receiving a Masters in Health Services Administration in 1994. He has worked for a number of different health care organizations including working as a Program Director for a group of primary care clinics (Arizona Association of Community Health Centers), a Health Care Manager for a hospital network group (Arizona Healthcare Federation), and as Associate Director for the Arizona Council for Graduate Medical Education. Mr. Wells has devoted considerable time in researching the latest cosmetic trends and treatment modalities. He stays current on the cutting edge of such research and uses this information to make strategic decisions for the company. He has a broad understanding of lasers and has been certified in laser biophysics and theory. Mr. Wells was successful in developing a Laser Certification Program that was approved by the Arizona Radiation Regulatory Agency, the agency that oversees the use of medical lasers in Arizona. The program involves 40 hours of laser didactic curriculum as well as hands-on laser training.